Luxury Watches – Are They a Good Investment? Luxury Watches – Should You Invest? If you’ve spent any time reading about luxury watches, you’ll know they’re expensive. Many of them have also appreciated over time. Occasionally, if you read the news, you’ll read about some luxury watches that have sold for astronomical amounts of money. It does appear that a lot of people who have money to spend are interested in spending that money on luxury watches. But are they good investments? The term investment has a number of meanings, but in its strictest sense, it has to do with buying something for the specific purpose of seeing that commodity increase in value. Sometimes things do increase in value, but that’s not necessarily the reason for buying it. Often, the things we buy decrease in value, sometimes considerably, the minute we take them off the showroom floor. And most people who buy luxury watches buy them simply because they’re beautiful or because they want to make some sort of statement regarding either their taste in fine things or in showing the world how much money they have. Those reasons are fine, as far as they go, but even then, investment, and making money on the purchase, isn’t necessarily the point of the purchase. Part of the problem of buying luxury watches as an investment is that they’re so expensive in the first place. While a handful of ultra high-end watches are made in small quantities, others are more or less mass produced, but still command a premium. That means that they’re going to be pricey, but won’t be all that rare. 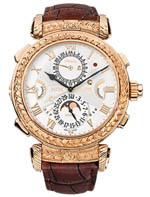 You can buy a certain Patek Philippe watch today and perhaps the opportunity to buy that watch will still exist a year from now. If that’s the case, then the watch you buy today will likely be worth quite a bit less a year from now than the price you’re paying for it today because, after all, it will then be a used watch. Luxury watches, like new automobiles, do lose quite a bit of their value the moment they’re taken off of the showroom floor. In time, of course, luxury watches will be replaced by newer models, and at that time, the older models, especially among popular brands, will become popular among collectors. In between the time that they’re sold new and the time that the collecting world takes notice of them again is a bit of a lull in the market when luxury watches can be purchased at relative bargain prices. If you’re interested in buying luxury watches as an investment, then that would be the time to buy. While some watchmakers produce hundreds or even thousands of different models, Rolex has, for decades, had a relatively small number of products in its catalog. That works to the advantage of those interested in buying luxury watches as an investment, because the watch-buying public is familiar with these models, such as the GMT, Daytona or the Submariner. It’s always easier to resell something that’s familiar, and many of these models have been available for decades, albeit with occasional design changes. Despite their relatively high price when new, Rolex watches have and continue to sell well, and a lot of buyers enjoy swapping out older models for newer ones every now and again, which means that relatively affordable second hand models will occasionally become available at good prices. Since Rolex watches are also well made and designed to last for many years with little maintenance, it’s also likely that any second hand model that you buy will be in good working condition, or at least in a condition that will allow it to become working with minimal effort and expense. Of course, it’s difficult to define exactly when second hand luxury watches stop simply being used watches and start to become collectible again. While estimates vary, most experts think that the “sweet spot” comes somewhere in the range of 20 to 30 years of age. Before that point, buyers are looking for mostly newer models, but after that point, the appeal of vintage luxury watches starts to take over and collectors begin to take notice. That corresponds to an increase in the prices paid for watches of that vintage. 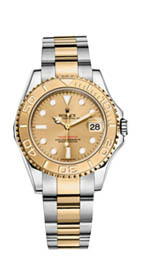 Prices paid for vintage Rolex luxury watches tend to suggest that this brand holds its value quite well, and if you can find older second hand models at good prices, it’s quite possible that they will serve as investment vehicles that can provide you with profits somewhere down the line. Of course, the nature of buying collectibles of any kind as investments is always fraught with risk, and anyone looking for a “sure thing’ when it comes to investing money would be best advised to consult with a broker or financial advisor, rather than to start shopping for second hand luxury watches. 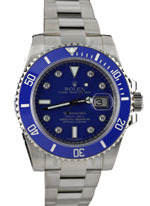 For those who like to dabble, however, or for those who have a fair amount of disposable income available to them that they can afford to set aside for a number of years, investing in second hand Rolex luxury watches may make some sense. As a rule, it would be folly to recommend that general investors who are interested in earning money over the long haul spend money on luxury watches. On the other hand, it does appear that Rolex watches of a certain age (and Patek Philippe, as well) do hold up well in terms of price on the secondary market and can often produce good results as financial investments. If you do invest in luxury watches, best of luck to you. 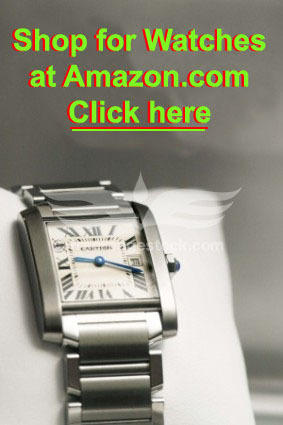 Click here to shop for luxury watches at Amazon.